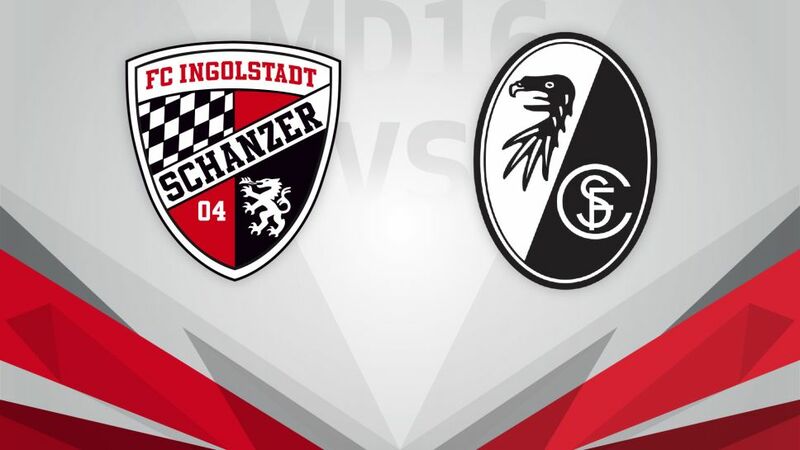 After seeing off RB Leipzig and Bayer 04 Leverkusen, FC Ingolstadt 04 will be looking to round out the year on a high note by making it a hat-trick of Bundesliga wins against SC Freiburg on Wednesday (kick-off 20:00CET/19:00GMT). It has been a memorable couple of weeks for Ingolstadt. Rock-bottom after losing to SV Werder Bremen on Matchday 13, Die Schanzer hit back with a stunning victory over Leipzig, inflicting a first defeat of the season on the high-flying Bundesliga newcomers. A week later, they doubled up against 10-man Leverkusen, sealing back-to-back league wins for the first time since April. Though they are by no means out of the woods down in 16th, Ingolstadt seem to be enjoying a new lease of life under Maik Walpurgis, picking up 10 of their 12 points in the five games since he took charge. They could even jump out of the relegation zone if they can get the better of Freiburg. Freiburg have struggled on the road in recent years, and have only managed a single Bundesliga away win since returning to the top flight this summer. That being said, Christian Streich's side have picked up points on their last two trips, to Leverkusen and FC Schalke 04, and are unbeaten in three games coming into this first Bundesliga meeting with Ingolstadt. With 20 points, Freiburg are closer to the UEFA Champions League places than the relegation zone, and a win at Ingolstadt would leave them comfortably nestled in mid-table heading into the winter break.